Except funny emoticons there is one more thing about Skype on your Mac: it creates too many system files that occupy your hard drive and remain even after you have deleted the app. Its size may be even bigger than the size of the app itself. For this reason, you may decide to uninstall Skype on your Mac. Learn how to completely and correctly remove the messenger. Uninstall Skype using App Cleaner & Uninstaller. Then remove Skype from the Applications folder. *Learn how to get the hidden Library folder. The last step is to empty your Trash to permanently get rid of Skype. Now let’s learn an easier way to uninstall Skype on your Mac. 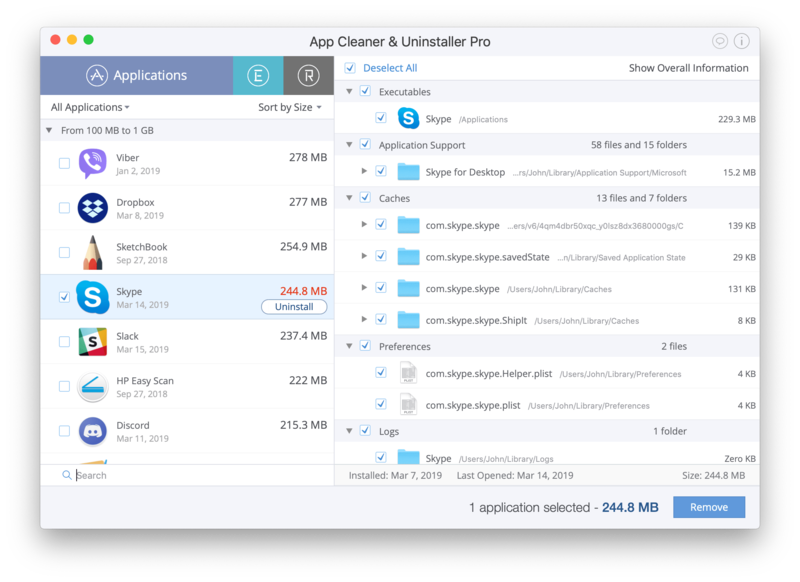 App Cleaner & Uninstaller provides you with an ability not only to remove the Skype app but rather all system files that are associated with it, thus optimizing space on your hard drive. 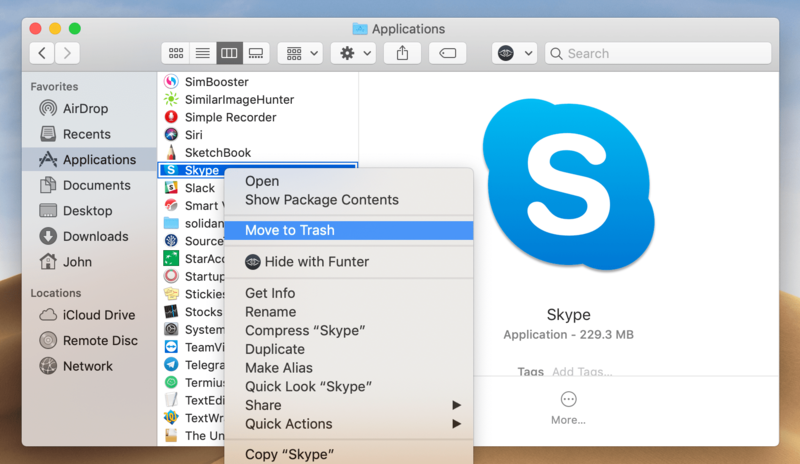 Follow these steps to remove the Skype messenger with all its system files and caches, that usually are left after simple deletion to Trash. 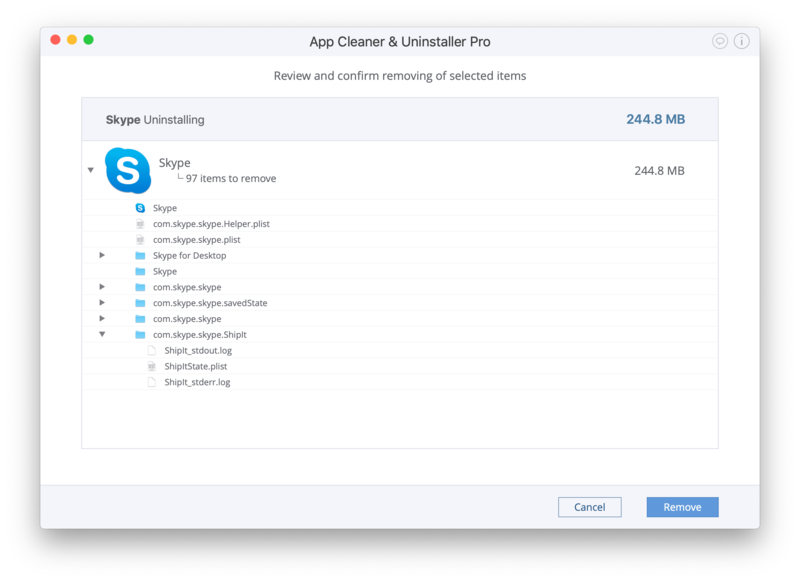 Now let’s see the separate steps to remove Skype using App Cleaner & Uninstaller. 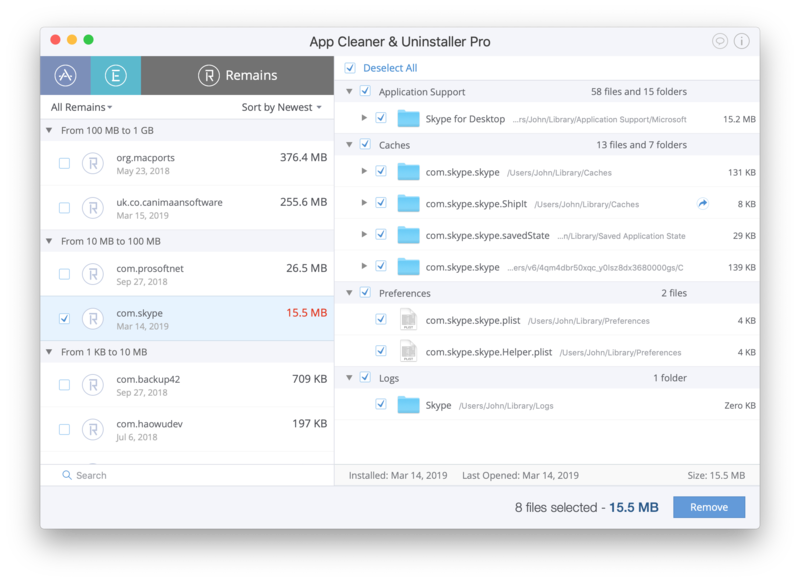 Run App Cleaner & Uninstaller. Select Skype and all the files associated with the app. Confirm removing of selected items. 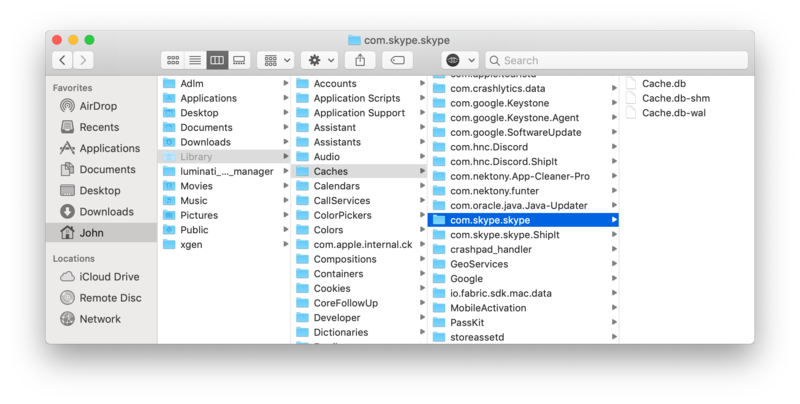 If you have deleted Skype before in a regular way, you can find its service files in the Remains section, as it’s shown in a screenshot below.